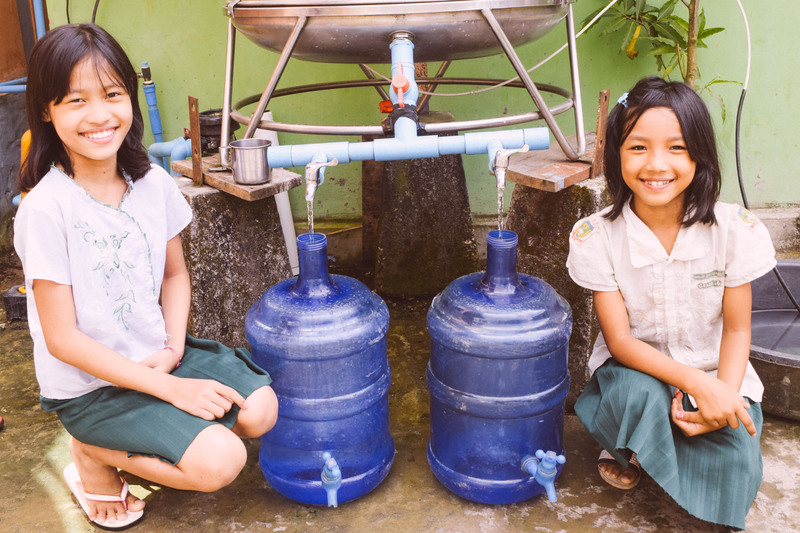 Photo: These children are thankful for our water purification business which provides safe, clean water to our neighbors and residents in the surrounding area. We are happy to share a redemptive story of one of our orphans, 13-year-old Nanda, who now lives a happy life full of hope at one of our orphan homes in Myanmar. Before she came to live with us, she lived in the Chin state where both of her parents died when she was a little girl. Her aunt then took care of her until she too passed away. Nanda’s village was located very far away from the nearest town, no one in her village was willing to care for her, and the village elders took care of only her most basic needs. While she was living in the midst of these sorrowful hardships, a local pastor who knew of our programs befriended Nanda and brought her to live under our care in 2010 when she was 8 years old. Now Nanda is very thankful to have a new family, many friends, a joyful life, and a future full of hope. She is currently receiving all A’s in school, and she wants to be a teacher when she grows up. We are grateful for success stories such as Nanda’s because due to the crippling effects of extreme poverty and disease in South Asia, millions of children are orphaned, often falling victim to child prostitution, human trafficking, or forced labor. Peace Gospel’s orphan homes in Myanmar are safe spaces in the midst of this darkness, offering orphans an escape from despair and hunger. Through the work of our organization, these beloved children are provided a nurturing home centered on Biblical principals of God’s love for them. Photo inset: (Top-left): “Nanda” (pictured here with her sisters at the home) is very thankful to have a new family, many friends, a joyful life, and a future full of hope. (Top-right): Our 12-acre farmland enterprise cultivates organic, nutritious ingredients for the children’s meals in all of our Myanmar orphan homes. (Bottom-left): Our new preschool currently has 10 students (ages 3-4 years) who are studying Burmese, English, math, and music. 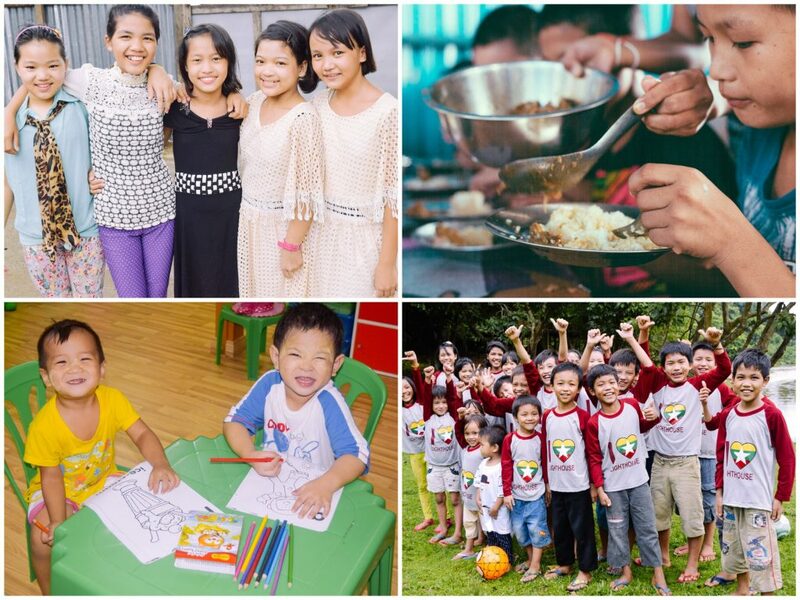 (Bottom-right): The children in our orphan homes celebrated a successful completion to their first school semester by going on a special picnic together. In other good news, our native team’s water purification business is going very well. We are providing safe, clean water to our neighbors and residents in the surrounding area. We are selling the equivalent of about $100 per month from drinking water, which represents about four week’s worth of average wages in Myanmar. This funding generator is a helpful addition to our list of other small business enterprise operations: our 12-acre farmland enterprise consisting of a rice paddy farm and a garden where we cultivate organic, nutritious ingredients for the children’s meals, and our plans to convert an old farmland facility into an income-generating rental property consisting of 15 apartments that will be available to low-income renters. The annual profit on each apartment will be $240, which pays for an entire year of education for one orphan. The profits and fresh produce from all of our small business ventures allow for better resources for our children’s education and nutrition needs.